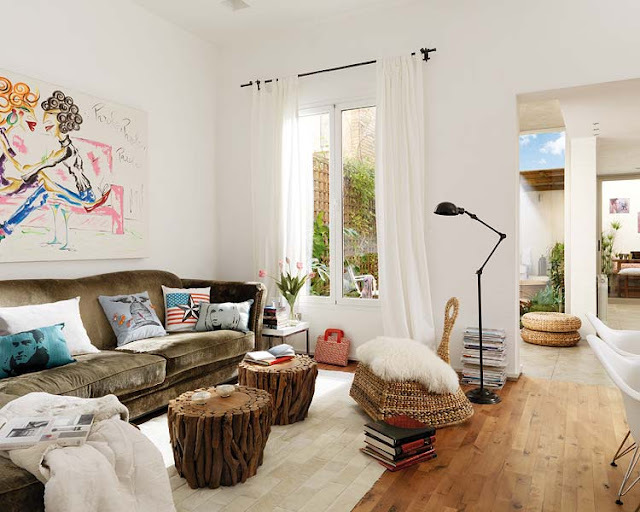 Mix and Chic: Home tour- Bali-inspired, modern and eclectic! I just love this bright and airy home. There are so many elements I am drawn to, particularly the Bali-inspired outdoor dining area, the intimate seating area below the loft and the skylights in the kitchen. What elements are you drawn to? What a gorgeous home, Jessie! 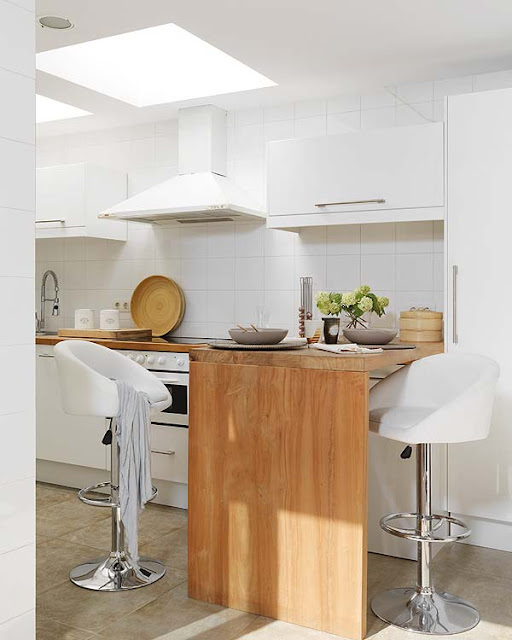 I love all the white, modern furniture mixed in with lots of wood, and open spaces. P.S. Sorry for my absence. Thank you so much for the bog awards. I promise I will get to them this week. Hugs to you! Hope you had a lovely weekend! Swoon! How amazing is that deep purple tufted headboard!!! 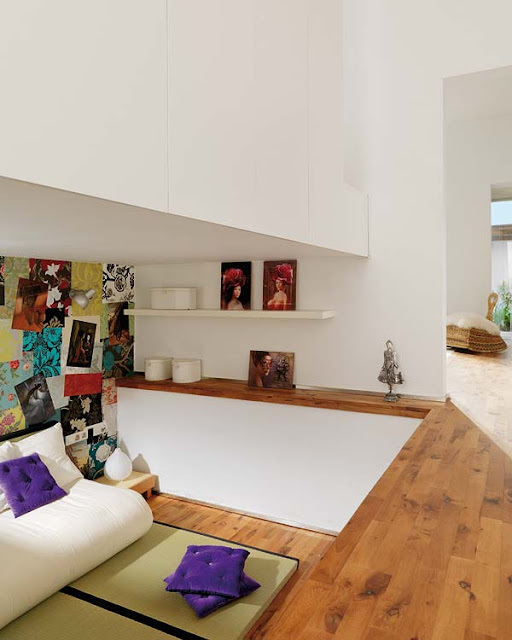 I love the open-plan and bright feel of the whole space! Thank you for the comment on my reupholstered chair! But oh my godness! I love this house and the bedroom is awesome! I love both the grape and the fantasy lamps so much! They're incredible! I hope I find something like that sometime! Also I love the white base with lots of natural elements! That's how I want my house to be! I want to bring the outside in! The headboard brings such drama into the bedroom space - love it! Beautiful spaces! I love how white and open every thing is. 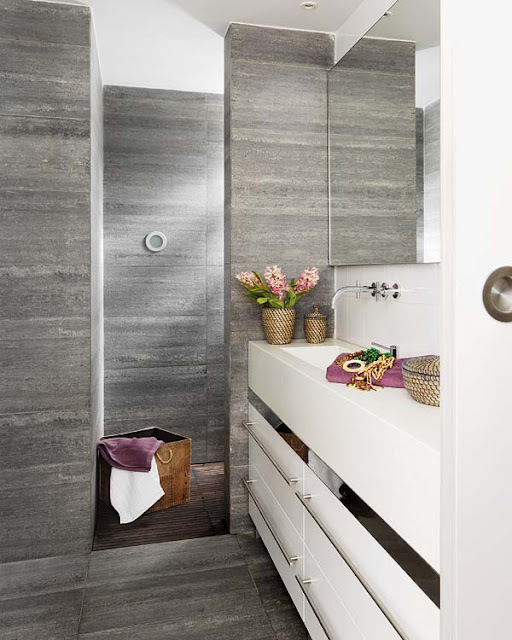 And I am really loving the bathroom! 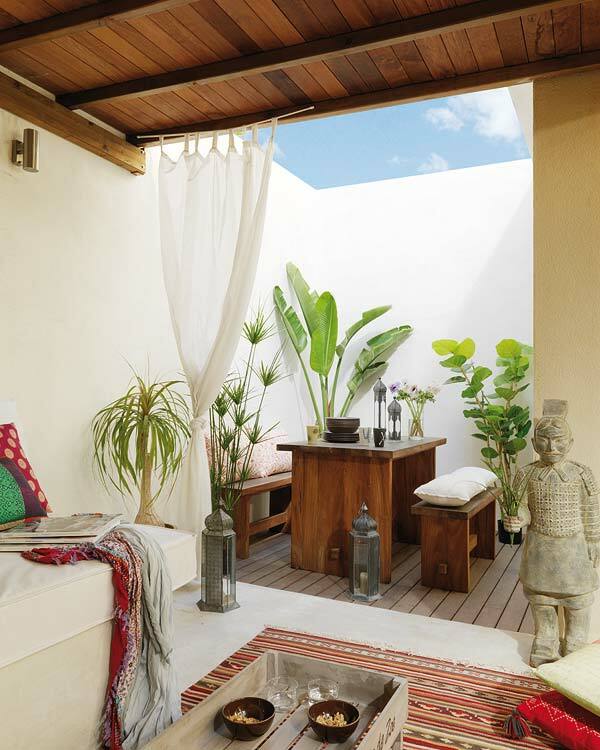 I am dying to live here....love the inspiration from Bali, one of my favorite places! These pictures make me want to take an exotic vacation! I love the round woven poufs that are in a few of the pictures- West Elm used to have some like that and I always admired them when I'd go into the store. Hope you had a nice weekend Jessie! I love bright and beautiful rooms. Its hard to ever be unhappy in a room like this. Its stunning. The colors are perfect! What pretty inspiration! I love the ethnic, it has a cozy air, but I'm obsessed for wooden furnitures, it's just the magic touch. I am in love with this whole space !! Especially the outdoor area. So gorgeous !! 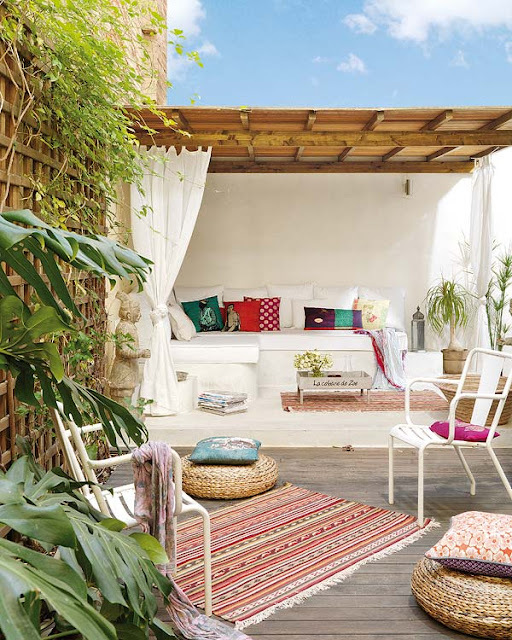 Love everything about it...especially the outdoor space. I love these colors. The first photo is great. I love all of this. The pops of color against the white, the hidden nook with a seating area, that beautiful pendant light and that open dining area with the benches. All love. Oh that house! 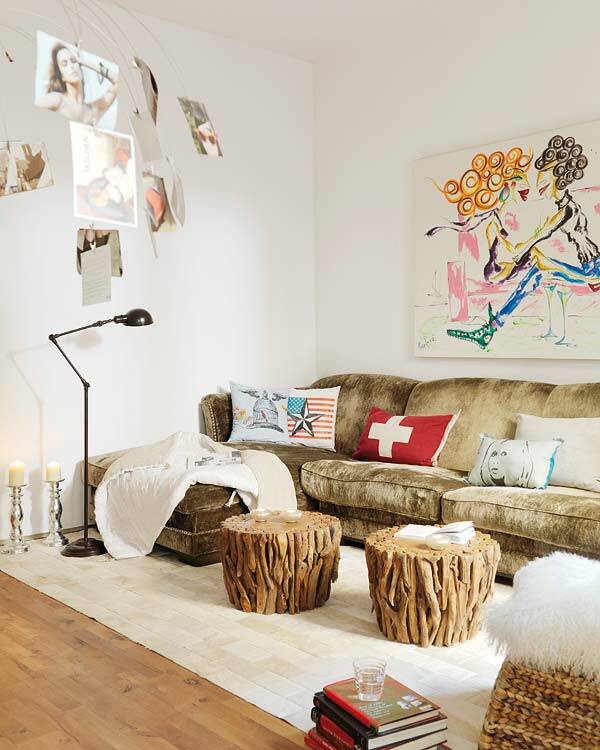 Love the coffee stump tables, the dinned room chandelier and that statement headboard! Wow! That purple headboard is great. My husband would never go for it. :) I'm also pretty sure that I could spend all day on that outdoor area! Gorgeous! 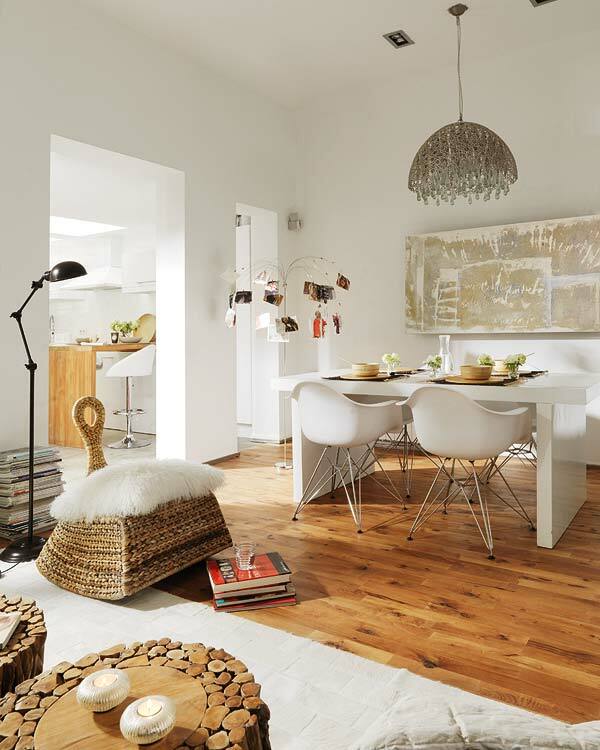 I love how the bright colors pop against the stark white walls, so refreshing and fun! this home is fab...the artwork is so eye catching..i just love it! Such a happy space and I love the artwork. 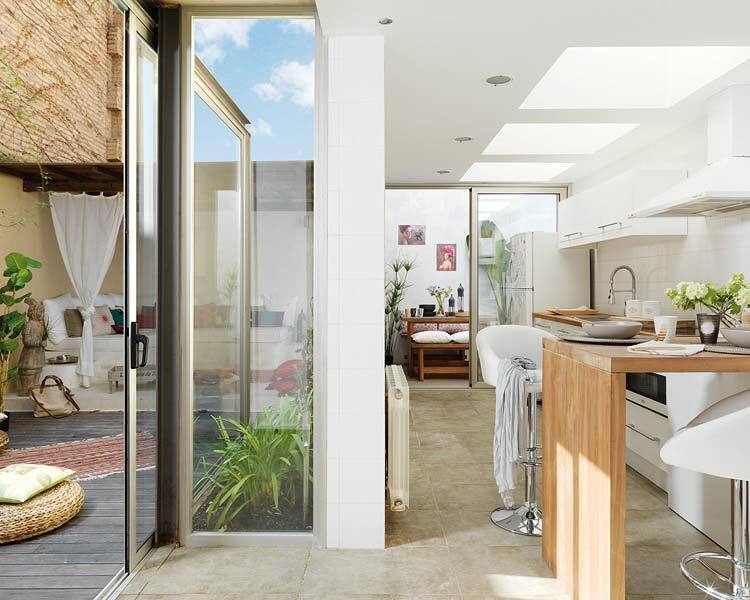 What gorgeous inspiration, these homes make me want to redo mine!